Apart from the modern mirrors, export-model Crosley looks largely original. To illustrate the diminutive dimensions of a Crosley for sale on topclassiccars.com, a Texas dealer parked it beside a Ford F-150 pickup. It might have fit in the truck bed. 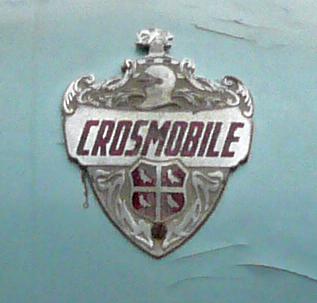 Crosley made cars from 1939 through 1952, less a four-year interruption for military production in the Second World War. The station wagon was its most popular model, but it also offered convertibles and sedans, a sports car and even a tiny pickup truck. This wagon is from Crosley's final CD series (1949-1952), and we can further tell from its roll-down windows that it's a 1950 or newer; the '49 had sliding side windows. The company was a long-held dream for Powel Crosley Jr., the Cincinnati, Ohio, businessman whose Crosley Radio Corp. had become the world's largest manufacturer of radios in the 1920s thanks to Crosley's designs for simple, inexpensive sets. He expanded into appliances, with products including the famous Shelvador refrigerator, a 1951 example of which still purrs away in my basement. Cars, however, were his earliest love. He was just 21 when he first attempted to launch a company to build a low-priced automobile he called the Marathon 6. There were other false starts, but by the 1930s, he finally had the resources to become a vehicle manufacturer. Like other strong-minded individuals attempting to seize a place in the car world – Preston Tucker and Elon Musk are two who come to mind – Crosley's ideas ran contrary to the automotive thinking of the day. While models from the established carmakers were growing in bulk and complexity, his creed, as with radios, was "small and simple." His first car, then, had a wheelbase of just 80 inches (2,032 millimetres) and weighed 925 pounds (420 kilograms). Ford's best-selling Tudor sedan, in contrast, had a 112-in. (2,845 mm) wheelbase and weighed 2,830 lb. (1,284 kg). The initial engine was an air-cooled two-cylinder producing a modest 12 horsepower. In a message to potential buyers, Crosley readily admitted that even the cheapest models from competitors had larger motors. "They need such engines" he continued," because much of the power is not used to transfer passengers or 'payload,' but to move a ton or more of excess steel, required to make these cars 'bigger' than their competitors." Instead of dealerships, Crosley elected to sell his cars through department and appliance stores, charging $325 U.S. for a convertible, $350 for a "convertible sedan." Owners could bring their Crosleys to central depots for servicing. There were technical innovations as well. Crosley was the first to use caliper disc brakes in a car, and the first to offer an all-steel station wagon – other manufacturers stayed with wood-bodied wagons into the 1950s. Crosley even coined the term "sport-utility" – actually "sports utility" – for a a variant of its wagon with removable canvas top and sides. Not until four decades later would the description be embraced by other automakers. Drivers prized Crosley's little fuel-sippers during the wartime gasoline rationing, and after peace arrived, its redesigned model line was welcomed by a market hungry for new cars. In 1948, its best year, it sold 29,000 vehicles. 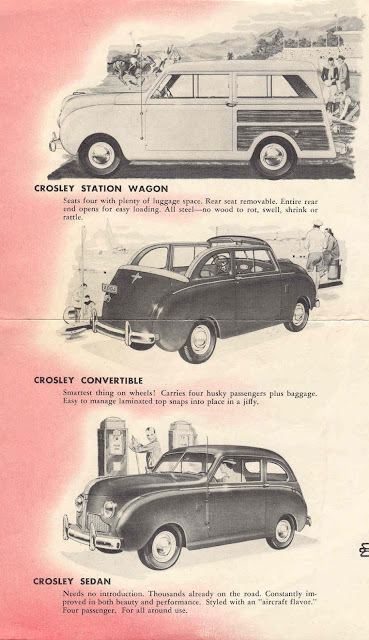 Crosley models for 1948, from the Old Car Manuals Project. But the company made a major misstep with the introduction of a copper and stamped steel engine – the "tin block," in the words of its detractors – that had proven reliable in military use but fared poorly under less scrupulous civilian maintenance. The engine was replaced with a cast-iron powerplant in 1949, but the company's reputation had taken a hit. More daunting for the Ohio automaker, though, was the growing preference of buyers for the ever more lavish cars now being turned out in volume by the Big Three and priced, in some cases, little higher than a new Crosley. Sales dwindled, and in July 1952 the final Crosley came off the production line. It's been said that if Crosley could have held on for a few years, until economy-minded consumers embraced a wave of imported cars and the compacts that were the domestic manufacturers' response, it could have survived. But it's hard to imagine Powel Crosley throwing more millions at a losing company even as other, better-known U.S. car brands like Packard, Nash and Hudson disappeared in an era of industry consolidation. Plus, to succeed, he would have needed bigger cars. Volkswagen's Beetle and the other imports dwarfed the Crosley models, which were on the scale of Japan's kei class and Europe's microcars and ill suited to the high-speed roads spreading across North America by the late 1950s. Today you might see a Crosley in a parade – the marque has long been a favourite of Shriners – or at a car show. 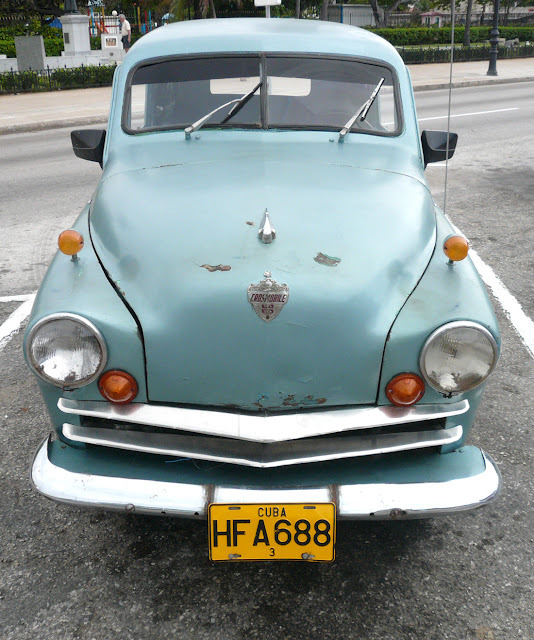 Or you might come across this Crosmobile in Havana, still serving as testament to Powel Crosley's belief in the value of simplicity.